Like the low-value definitives issued in 1982, the new medium-value definitives depict heritage artifacts. 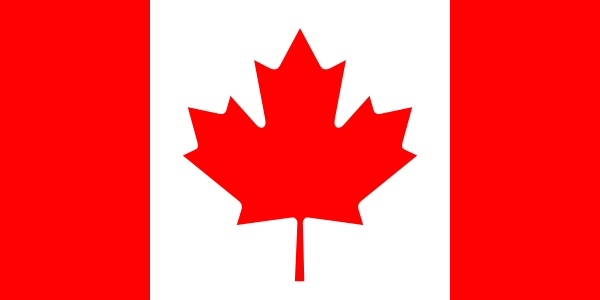 These stand for various aspects of life in Canada during the eighteenth and nineteenth centuries. The 37¢ stamp features a plow and represents agriculture. 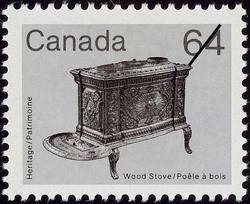 The 48¢ stamp shows a cradle and the 64¢ stamps a stove. These two stamps represent domestic life and pay tribute to the Canadian women of this era, a group of people whose contributions to the European settlement of Canada are often overlooked. Indian women, for example, made vital contributions to the fur trade, which opened many parts of Canada to commerce and eventually to settlement. The women dressed furs, made moccasins and snowshoes, helped make canoes, and acted as interpreters and language teachers. By catching fish, harvesting rice, and make pemmican and maple sugar they provisioned the fur trade and sometimes saved the traders from starvation. On Samuel Hearne's expedition to the Coppermine River, Indian women carried all the equipment. They favoured the fur trade because it brought them labour-saving European goods. European pioneer women adapted themselves to a heavy workload, to a strange environment, and to loneliness and isolation. Their hard work helped to build the Canada many Canadians enjoy today. To mitigate the hardships of pioneer life, Catharine Parr Traill, author of a mid-nineteenth century guide for female settlers, suggested that they maintain a positive attitude and not "neglect those little household adornments which will give a look of cheerfulness to the very humblest home." She listed the skills a woman would have to acquire, from cooking a squirrel to getting a child out of a burning building. She felt that the work and sacrifices of were worthwhile, however, because Canada was "the land of hope." The medium-value definitive stamps were designed by Jean-Pierre Beaudin and Jean Morin, who also designed the low-value definitives. The artifacts on the medium-value stamps touch on three of the essentials of pioneer life in Canada: breaking the land to plant crops; raising children; and heating the home in a rigorous climate. The stamp designs employ the same duotone technique for the artifacts as was used on the low-value definitives. The rich but subtle background colours speak of the humble circumstances of the average Canadian pioneer home. Canada Post Corporation. [Postage Stamp Press Release], 1983.